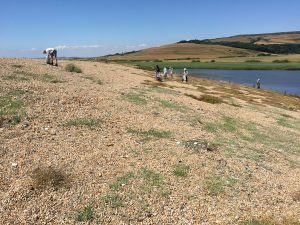 Chesil beach is home to numerous different species of plants, birds, mammals and lichens. One particulalr area of concern is our nesting birds. Different species of birds nest along Chesil Bank, mainly in the Shrubby Sea Blight and of course our Little Terns on the beach at Ferrybridge. Long ago both Common and Little Terns nested along the entire length of the beach quite successfully. However, over the years, with increased human activities, and in particular walking and dog walking along the beach, this once favourable site for these nesting seabirds is now void of such a wonder. 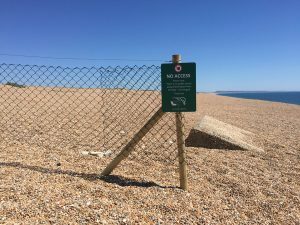 It is our aim therefore to reinstate the physical barriers that once stood along the beach, including signage, to encourage people to refrain from walking along the beach throughout the Spring and Summer months, with the aim to recolonise our terns on the beach. 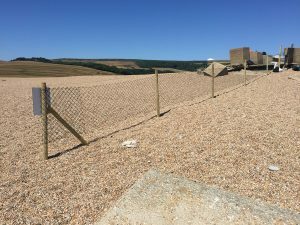 Please note: Chesil is closed between the 1st May and 31st August as a thoroughfare between the Tank Teeth at Abbotsbury and the Portland Boundary Stone. 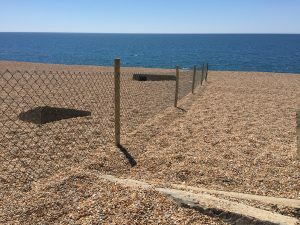 From the 1st September to 30th April only the seaward side is accessible. 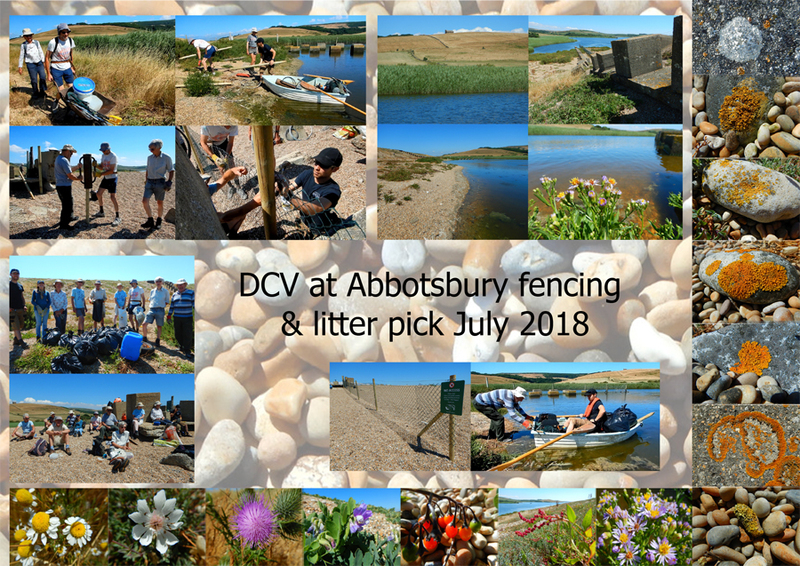 Below are images from our recent boundary fence work at the Tank Teeth at Abbotsbury, with help from our friends, the Dorset Countryside Volunteers. 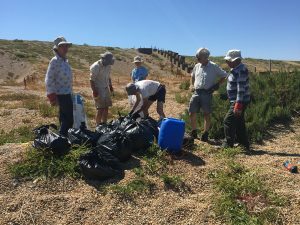 A litter pick was also carried out on this day with a great haul in just an hour or so.